Binge Culture as part of The Sydney Fringe 2018 presents Break Up. There’s no easy way to do this…five performers, six hours, two nights, one desperate conversation. Join Binge Culture as they lovingly create and destroy an entire relationship from scratch. Witness the desperation, negotiation, devastation and emotional blackmail. Binge Culture’s Break Up is one six hour fully improvised conversation, played over two nights in three hour installments. ​Come and go throughout the performance or stay until everything is worked through. 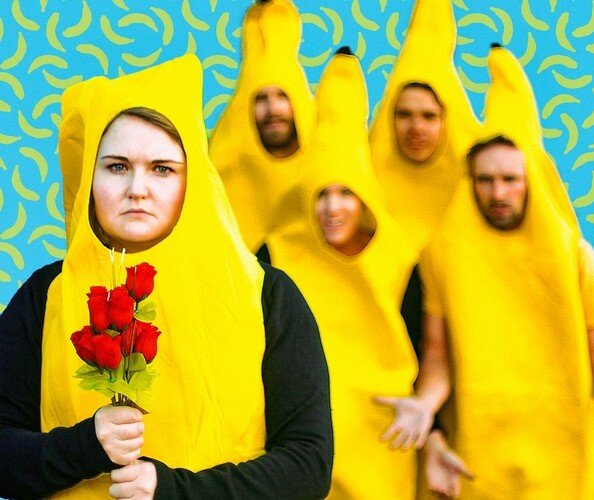 @jojo2511 [audience member] if your penultimate show of #edfringe isn't five hours long and doesn't involve improv & bananas have you even done the fringe #bingebreakup. ​"Spirit of the Fringe" Award, Auckland Fringe, 2015. Starring Joel Baxendale, Freya Daly Sadgrove, Oliver Devlin, Fiona McNamara and Ralph Upton.